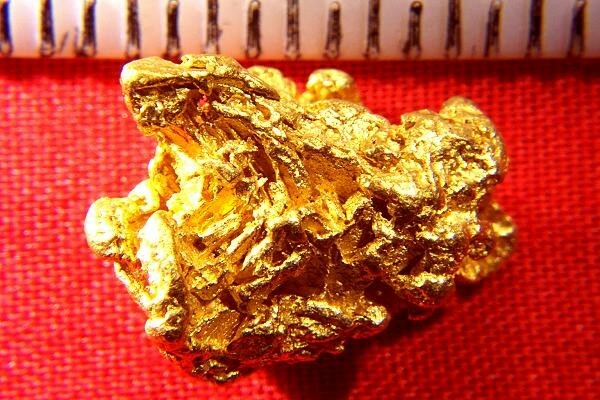 This super nice natural gold nugget was found by a gold prospector in Western Australia with a metal detector. Found in a known gold field, this beauty is typical of investment/jewelry grade gold nuggets with the gold purity estimated at 94% to 98% pure. These are some of the purest natural gold specimens in the world. This beauty weighs 7.4 Grams (114.2 Grains). It is just under 5/8" (17 mm) long and it has a super nice color and shape. 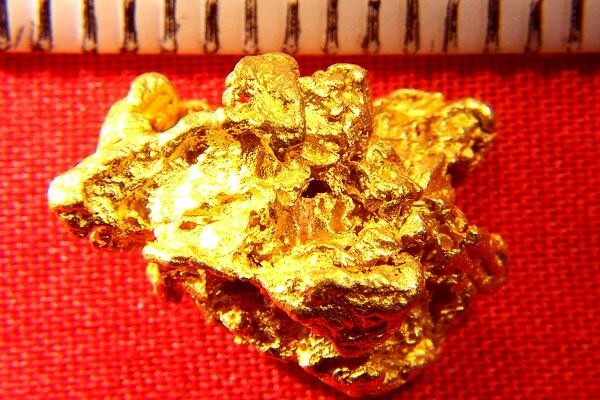 You will be pleased to own such a high quality natural gold nugget.